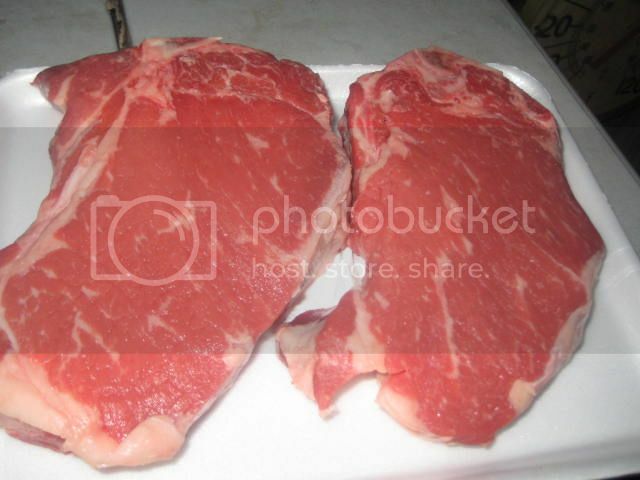 I had a BEEF craving, so I picked up a couple 1lb bone in New York Strip steaks. 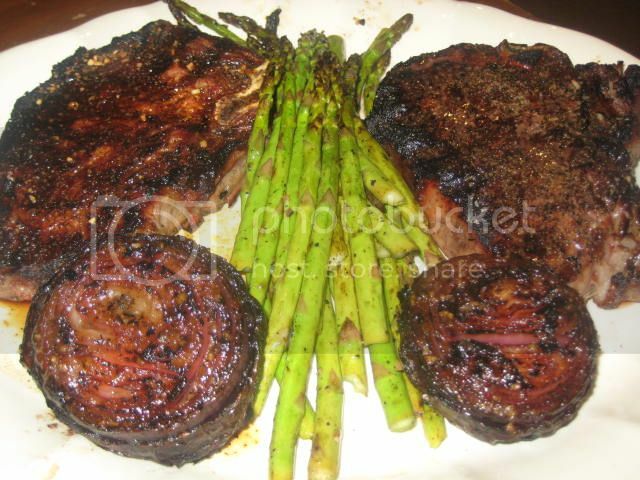 Did a 'Naked Sear' on these, (the steaks were naked, not me), basically what this means is you don't season the steaks until after you sear them. 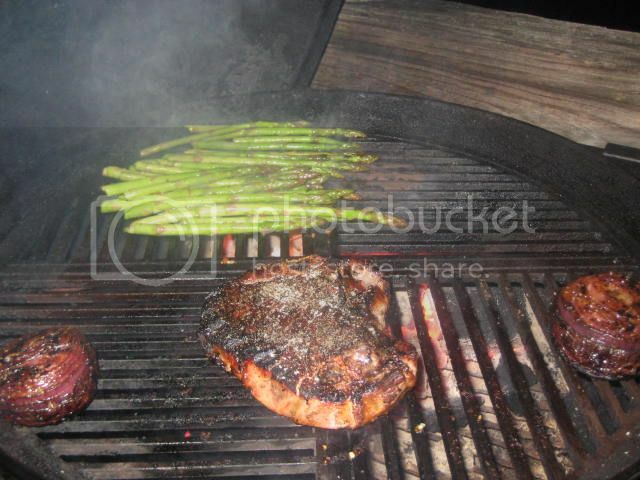 This will prevent burning off your rub or seasoning you put on the steaks. 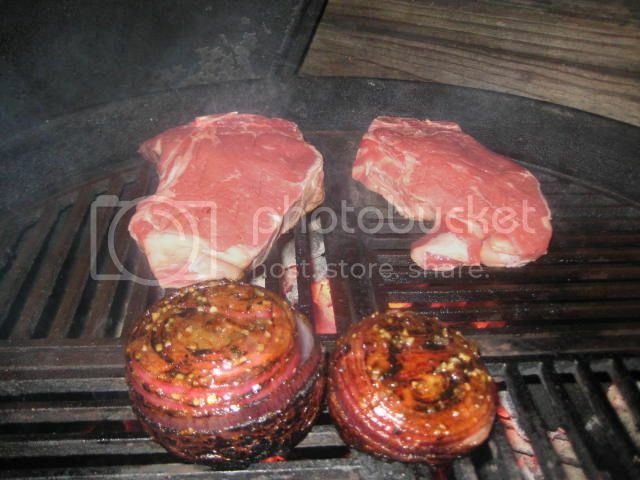 Especially if you're cooking over high heat, 500º+, which these were cooked around 550º. 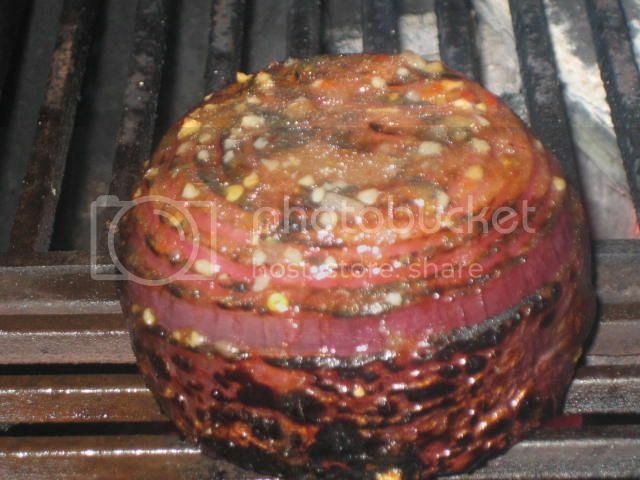 I like to spoon more dressing over top of the onions while they're grilling to continue to add more flavor and produce steam, which helps cook the onion. Notice how they kinda expand while they cook! 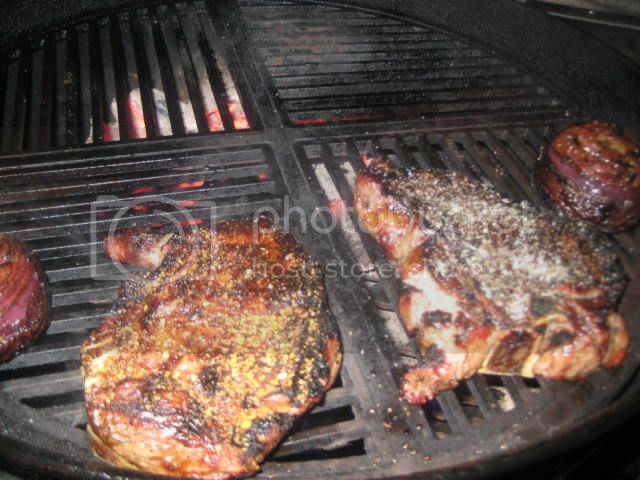 After 4 minutes of searing on each side, I moved the steaks to indirect heat and seasoned my steak with Wolfe Rub Bold and my wife's with Kosher salt, fresh ground pepper and a touch of cumin. 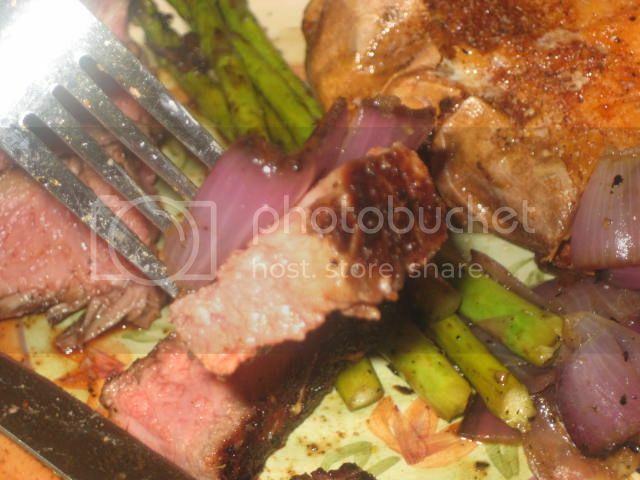 My steak was smaller and finished to a medium rare, so I removed it and added some trimmed asparagus that had also been marinated in Zesty Italian dressing to cook while my wifes steak finished to a medium finish. Asparagus only takes a couple minutes. 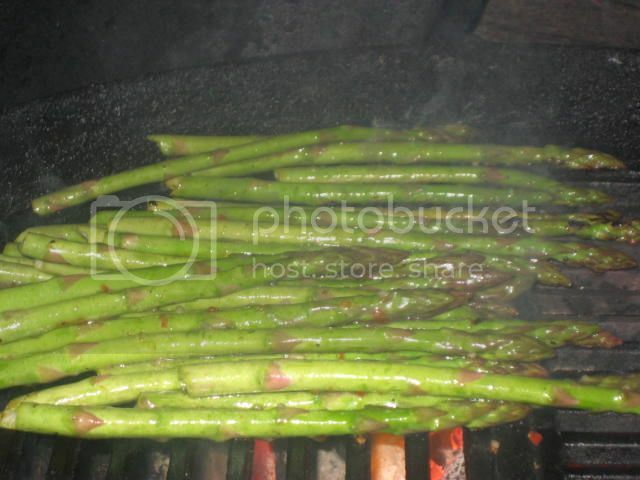 You basically want to grill it for 3-4 minutes max and NOT overcook it unless you like mushy asparagus. 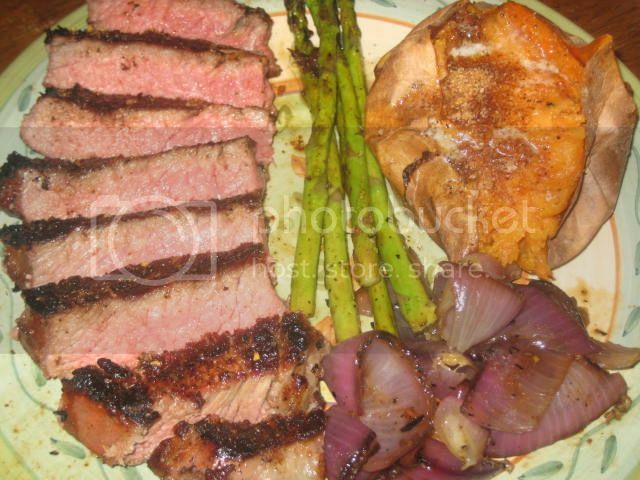 My plate with an added sweet potato that has butter and Wolfe Rub Original on it. 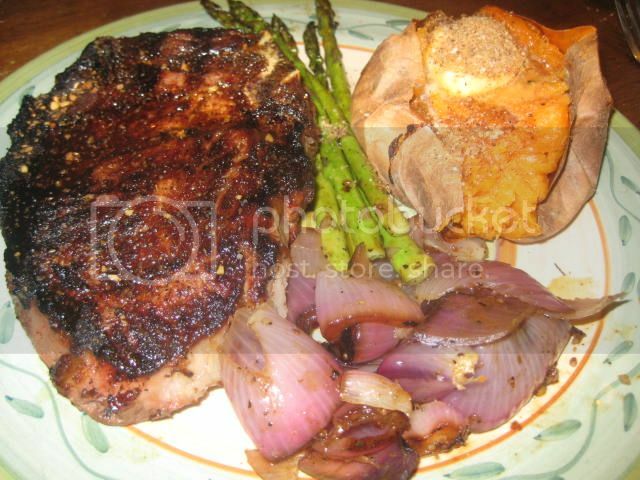 WRO is fantastic on sweet potatoes, the cinnamon, sugar, along with the spices are a perfect combination for sweet potatoes!